I come from a typical Greek family, and was baptised Greek Orthodox when I was a baby. I was never religious, if anything I was always against the church. In Greece, religion is not appreciated very much by young people. Towards the end of last summer, I came to realise that I wanted more from life than just working and repeating every day over and over. I wanted something more. My best friend in England is a Muslim who takes her religion very seriously. She always used to go home and pray, which I found to be a little odd. She also believed that she was going somewhere after she died. It really made me think that I should start doing something for myself. One night when I was talking with my friend on social media, I remember sharing a story with her about something I’d seen on YouTube about a couple getting engaged and it turned out they were Mormon. She briefly explained to me about the “Mormon” religion from her understanding. I found it so fascinating! I found myself researching all night after that. I remember going on mormon.org and just reading for a little while. Suddenly, on the bottom of the screen, an online chat popped up. I thought maybe a chat online would be easier to ask questions. So, I get talking with Sister Coleman, who was lovely. She answered all my questions, and knew exactly what my worries were. Finally, she asked, ‘’would you like a copy of the Book of Mormon?’’ I answered “yes!” I was enjoying the research I had been doing and thought a book would be cool. I looked forward to receiving my copy in the post. Next thing I know, I get a missed call from a number I didn’t know. I tried to call back but no one answered. Then I got another missed call, called back, no one answered again. So, I just left it. 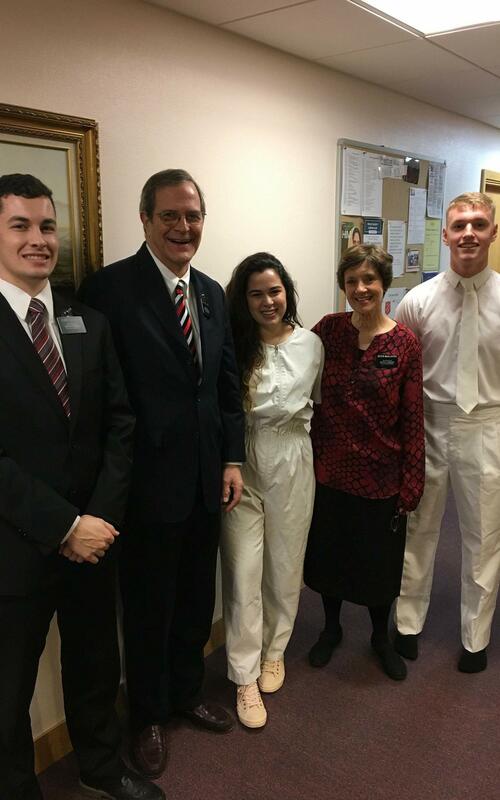 The day after, I was at work, I received a text message saying “Hi, it’s the missionaries, what time would be best to bring you the Book of Mormon?” Later that day, around 7pm, my doorbell rang. It was the missionaries, with long coats, hats and scarves. They looked great! I said to them, “come in,” thinking to myself, “why did I just invite two strangers into my house?” It just seemed right. They came in and we started talking. I remember feeling so good and so free, I could talk to them about my worries and they answered all my questions. Towards the end of our conversation, they said “when is it good to meet again?” I thought, “oh my goodness is this a regular thing?” But again, something told me to say “anytime!” They then came twice a week, teaching me and helping me to understand more about Jesus Christ and the restored Gospel. When they were in my house I always felt happy! A couple of weeks after meeting the missionaries, I remember praying about a challenge. Shortly thereafter, I had unexpected visit from an old friend, which answered my prayer, as it was the only open chapter in my life that I wanted to close. Instantly I felt the spirit, and realised that it was a sign from God. I called the missionaries as soon as I finished work, as I was in shock! That’s when I knew that God really answers prayers. I still don’t get it how these two Canadian young men managed to change my whole perspective on life and death, Jesus Christ and God. All I know, is that it felt right. Elder Leishman and Elder Oswald literally saved me. They put me on the right path. I was never religious. I never thought I would want to go to church every Sunday, or that I would want to read the Bible or the Book of Mormon. Sister Coleman, who introduced me to the Book of Mormon, is such an amazing missionary. We are in touch through Skype, even though she is all the way in Omaha, Nebraska. And here I am. 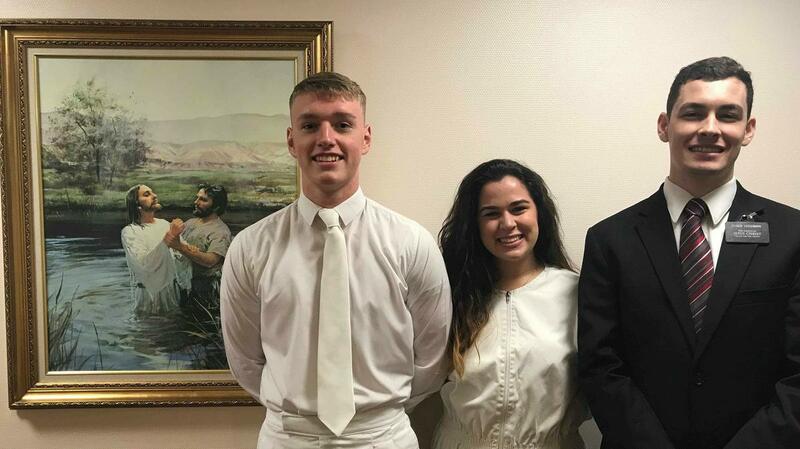 I became a member of The Church of Jesus Christ of Latter-day Saints on the 6th of January, about a month after meeting the missionaries. My baptism was the most incredible thing I have ever done in my entire life. I feel such a connection with Heavenly Father and Jesus Christ through the power of the Holy Ghost, it’s so hard to put it into words! I’ve met great people, friends for life, and I have a new family. I have learned too that this church is the only church that helped me to feel and understand my purpose in life. We live to follow our Heavenly Father, try to be more like Him, and finally be with Him for eternity. I now have a purpose in life, I don’t feel lost anymore. I pray, and I get answers. It’s amazing.